This 6.5 Grendel Kit Was Engineered For Light-weight Top Performance And Incredible Accuracy, It Touts Some Of Our Most Tried And True Parts, Ensuring You Get A Build That Will Last And Perform To The Highest Standards, All At A Price That Is Totally Unrivaled. 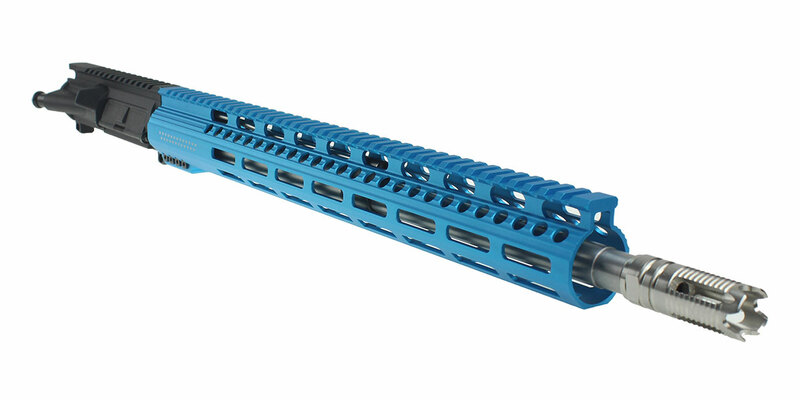 This Upper Features An ELD Performance 18" 6.5 Grendel Stainless Steel Heavy Barrel. This Type 2 Grendel Barrel Is Made From 416R Stainless Steel And Has A 1-8 Twist. 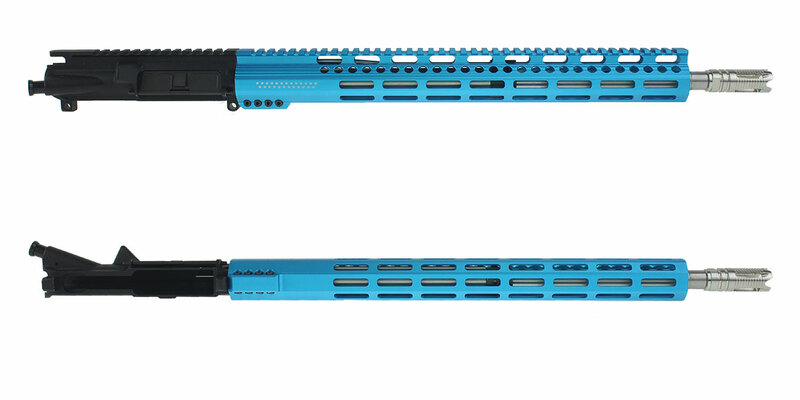 This Build Also Includes An Omega Manufacturing Premium 16” Tiffany Blue Anodized M-Lok Handguard. This Handguard Also Features 25 Silver Stars On Each Side Of The Handguard. 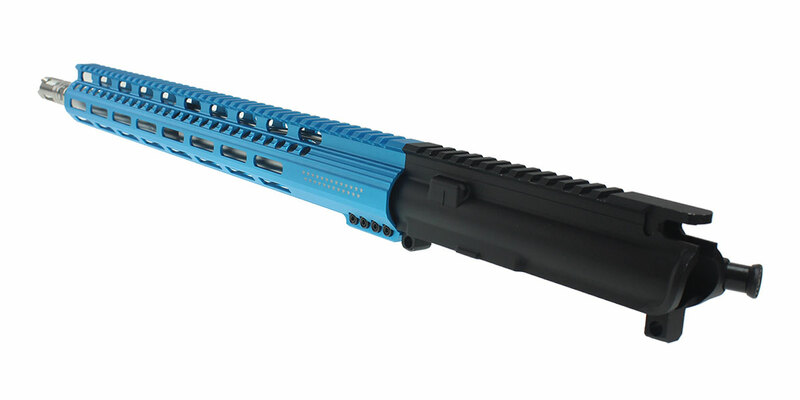 This Handguard Allows You To Comfortably Grip Your Rifle In A Variety Of Shooting Positions & Securely Mount A Variety Of Accessories. 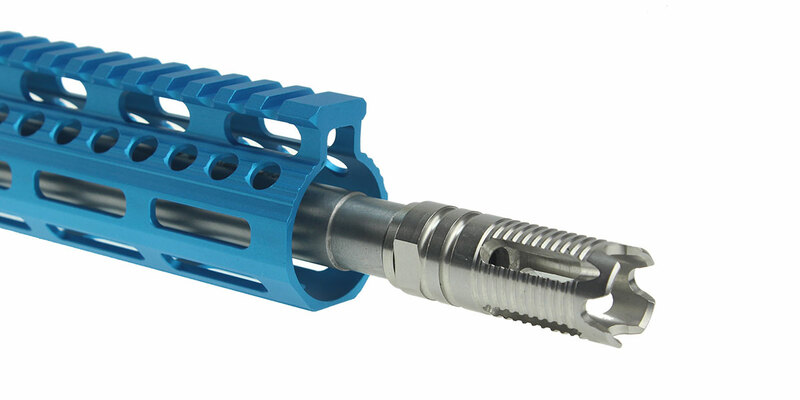 This Stainless Steel .308 Muzzle Device From Recoil Technologies Features An Aggressive Profile With 4 Prongs In The Front, With 4 Slots To Redirect Gas And Blast.